If you have been paying attention to what has been going on in the environmental news front recently, you may have heard of the numerous earthquakes, hurricanes, droughts and other calamities that have struck our planet. Many of these are thought to foretell a bleak sequence of events that do not bode well for our collective futures. Now, the Kiribati and Maldives sinking islands present an even more immediate threat, one that we tackle in this comparison of the two occurrences. 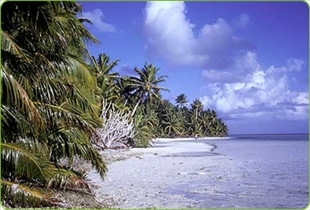 Kiribati is an island nation found in the central tropical Pacific Ocean. The island nation is comprised of 32 atolls and a single raised coral island, spread out over 3.5 million square kilometers. The group of islands straddling the equator, and is bordered on its eastern section by the International Date Line. The Maldives is also an island nation, and it is located in the Indian Ocean. It is comprised of twenty-six atolls arranged in two chains, and it stretches out over the Lakshadweep islands of India in a north to south direction. Both Kiribati and the Maldives are currently under threat from a variety of environmental forces, many of which have been linked to climate change and/or global warming. 33 of Kiribati’s coral atolls are at most 6 feet above sea level, and these are all threatened by the global rise in ocean levels. Only recently, the country's president voiced fears of a global exodus of the island’s residents to Australia and New Zealand. The Maldives faces a similar threat, and over the last decade, there has been a notable increase in global acknowledgment of the threat to the island nation's very existence. Numerous scientists have warned that the islands could be totally submerged in as little as 100 years. Again, the cause of these environmental issues is global warming. Given its dubious honor of being one of the nations most vulnerable to the effects of climate change, the country has been actively involved in efforts to shape global policies pertaining to climate change. It has been particularly active in the UNFCCC conferences of the parties or COP, and the country is one of the members of the Alliance of Small Island States or AOSIS. This organization is an intergovernmental entity comprised of low-lying island countries. As for Maldives, the country’s president has announced plans to purchase land in countries such as India, Sri Lanka, and Australia, in anticipation of the seeming eventuality of the islands being submerged in water. The country has also been actively seeking out solutions to global greenhouse gas emissions, acknowledging its role in the rise of sea levels that could eventually submerge the nation.